Indy the amazing and beautiful three legged Husky celebrates life on three legs and a 17 month ampuversary while fighting osteosarcoma. 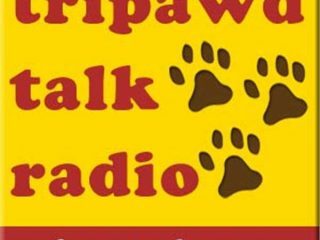 Tripawds Talk Radio Discusses Agility and Homeopathic care and remedies for post-amputation dogs with members Maggie and Gina. Tune in to our first official show and meet tripawds forum moderators hugapitbull and cometdog. Hear three legged dog advice, rehabilitation and bone cancer news on Tripawd Talk Radio live internet podcast show on BlogTalk Radio. Call in live with your questions for the Mod Pawd. Shop, share and give to help support Tripawds.com, the world’s largest community for three legged amputee dogs and their humans. Chicago-based Trio Animal Foundation helps pay the medical expenses of homeless dogs in shelters and foster homes. Tripawds learns about itchy skin conditions in dogs and German Shepherds when shadowing Dr. Pam Wiltzius at River Road Animal Hospital in Puyallup, Washington. Three legged canine amputee Cane Corso Fortis celebrates 11 months of being cancer-free.